By the time we finish breakfast, the rain has set in for the day. All of today’s scenes are in the priory grounds, in a cemetery and vegetable plot which the art department have constructed. We are all wondering how the grey, wet, windy weather is going to cut with the “sunlit” interiors we’ve been shooting all week. I crank the white balance up to 7,000 Kelvin, which helps a surprising amount. Everything takes twice as long in the rain. Steadicam shots are particularly difficult, without proper rain covers for the rig, monitor or camera. Everything is taped up with polythene and it’s hard to access the controls. Théo has to follow Rupert around with a windbreak, and the lens has to be constantly checked for raindrops. At one point a lens fogs again. The weather is deeply, deeply unpleasant. Marcia, one of the producers, has gifted me some waterproof trousers, but my supposedly Goretex boots are letting in plenty of water and I think I might get Trench Foot. The only way things could get worse is if it was dark. So of course we do a night scene. Paul and I have previously established the main angles we’ll be shooting this from, and the electrical department break early for lunch so they can rig the distro and lighting while the rest of us eat. We are using our 6K as backlight, and two 4Ks through a diffusion frame as a soft sidelight. Unfortunately the high winds immediately tear down the frame, so we have to diff the heads instead, which makes the sidelight a little harder. 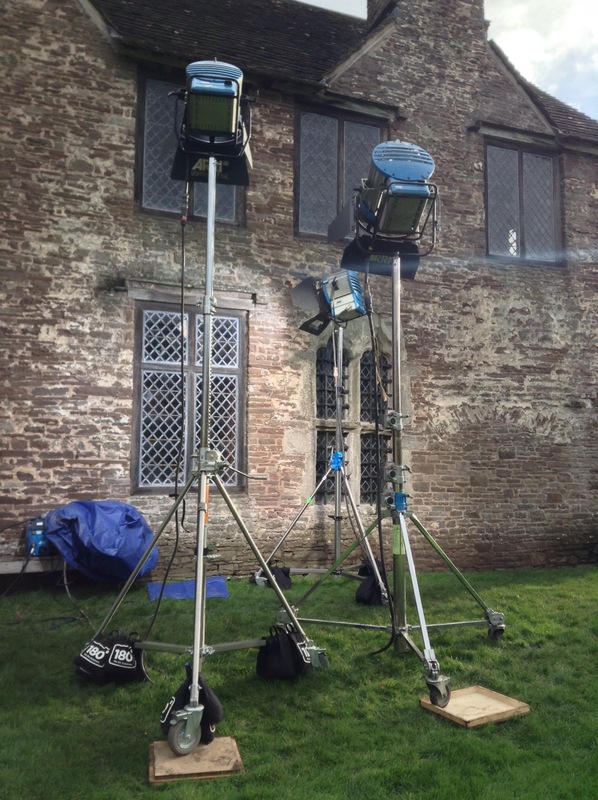 A third 4K rakes the back of the priory, while three tungsten 2Ks and a couple of LED panels inside the building put orange glows in the windows. The FX guys, Warwick and Aaron, run two Artem smoke guns for atmos. Despite the continuing rain, we are all set up and ready to start shooting in good time… when suddenly the 4Ks cut out. Then a huge gust of wind barrels through the location and the 6K starts to sway a little. Ben quite rightly calls a halt on safety grounds. We repair indoors and discuss rescheduling options. It seems like we’re pretty screwed and we’re going to be heading home tonight without having shot what was looking like a really cool set-up. 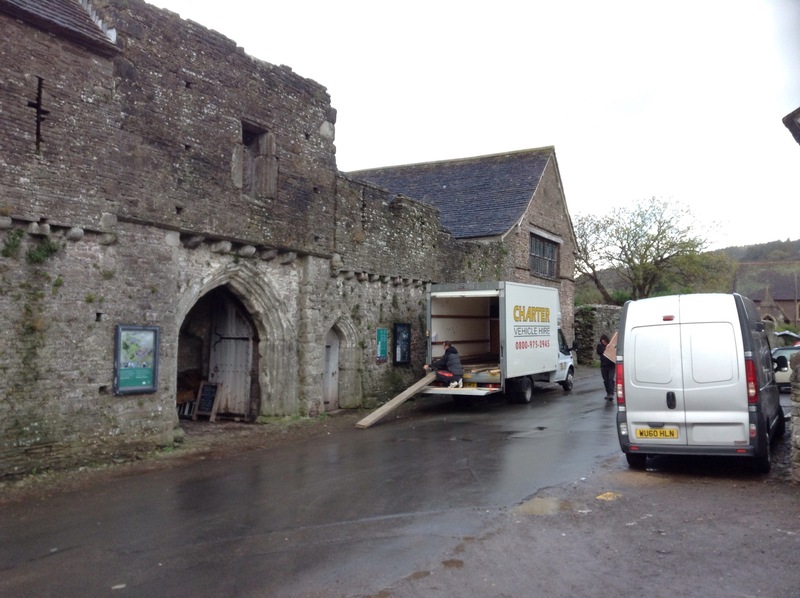 We only have one more day at Tretower and it’s already packed with scenes. Then the wind and rain drop and we’re given the OK to resume work. We’re short on time now, but the scene has been well rehearsed and choreographed by the stunt team, and we get some great material. Snatched from the jaws of defeat! I go back to the cottage and take a long, hot bath. By now my morning routine is established. Before leaving the cottage I spend 5 or 10 minutes reading some of the DOP Documents, a collection of inspirational PDFs elegantly presenting frame grabs from the work of some great cinematographers alongside informative quotes from them. Today I’m reading the Jordan Cronenweth one. Above some frames from Blade Runner a quote reads: “Naturally to create shafts of light one must have some medium. Smoke is wonderful photographically but it’s not without its problems. The only practical way to judge smoke density is by eye. I find that a good density is achieved just before I lose consciousness.” A man after my own heart. When we get to the unit base I sit and read the day’s scenes over breakfast, reminding myself of what I highlighted and scribbled in the margins during prep. Javi, the DIT and assistant editor, arrives with some cut scenes on a tablet. Watching these without the baggage of being on set shooting them, I can see what’s working and what isn’t, from a photographic standpoint. I’ve used a lot of bounce light from underneath, and I can see that it looks fantastic on Hannah, our heroine, if it’s poly bounce, whereas the villainess looks most suitably scary with matt silver (Celotex) bounce. Then it’s down to set to figure out the first scene’s shots with Paul. We start once more in the infirmary, and then move for one last time to the great hall. It’s incredibly windy. The sparks are outside wrestling with gels, trying to get them to stay on the lamps as the wind howls down the valley and across the back of our location. In the end we have to give up. Even with a plethora of croc clips, the wind simply rips the gels in half. I ask the script supervisor to make a note that tonight’s material will need to be graded to match the gelled scenes we shot on previous nights. The nasty weather does not bode well for our first exterior scenes tomorrow. We start in the infirmary again. More opportunities to shoot through the muslin drapes over the beds. Then it’s a daylight scene in the great hall, and I get to use what I call a Window Wrap for the first time on this shoot. It’s a kino indoors that compliments a hard HMI firing in through the window by appearing to wrap the window light softly around the down-side of the actors’ faces. Ben favours a second HMI bounced off poly, but I insist on a kino and I love how it looks. Neither one of us is right or wrong; it’s just a personal taste thing. We use negative fill to block the natural light coming in from the other side of the hall and take down the actors’ up-sides. 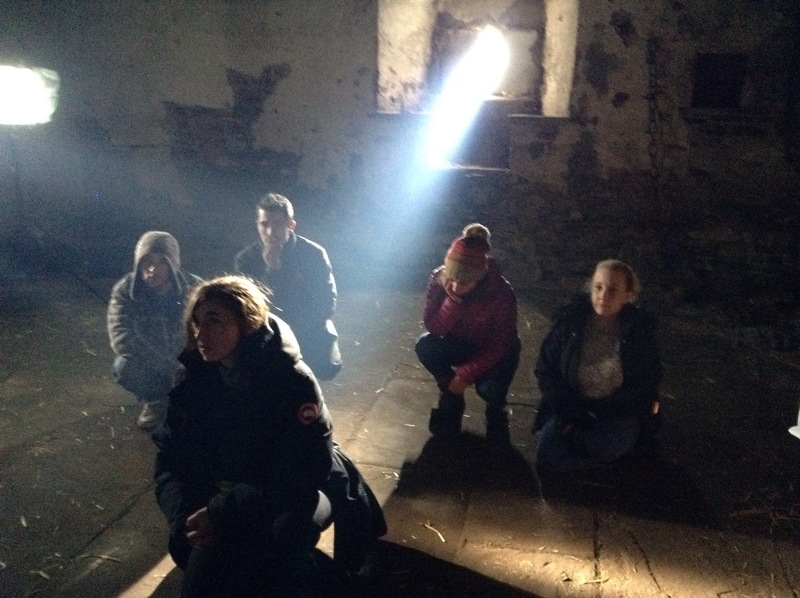 After dark we set up for the heroine’s first entry to the priory. Paul wants to do it all in one ambitious steadicam shot, and I suggest seeing out of the open doors to the courtyard, making it even more ambitious! He and Rupert work on the camera path, trying to find something that makes sense and feels natural. We record some rehearsals and analyse the playback to see where we might have issues with equipment in shot, camera shadows, unwanted lens flares, etc, etc. Just as my brain is threatening to fail with the complexity of it all, Ben has some great suggestions on how to tweak the HMIs, proving once again that you are only as good as the team around you. 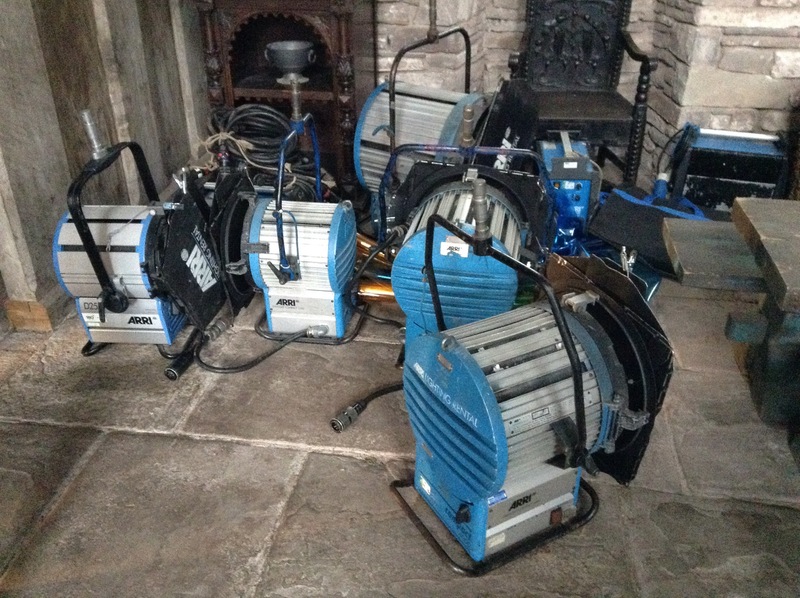 We have four 4K HMIs burning, plus a 6K HMI, a 2K tungsten fresnel, two 1×1 LED panels and two 4×4 kinoflos – certainly the biggest lighting set-up I’ve ever done, in terms of wattage. Ben cunningly positions a matte silver bounce board (Celotex) to “borrow” some wasted light from the 6K and throw it back onto the exterior courtyard walls seen when the doors are opened. Smoke and the ropey old glass in the location’s windows help to soften everything out and fill things in. When the art department have lit the many candles, the shot looks like a million dollars. When we wrap I stand outside and look at the clouds scudding across the moon, above the battlements. All is right with the world. Today Ben will take a trip to reccie Margam Castle, our location for the second half of the shoot. Over breakfast I run him through the floor-plan of the rooms we’ll be using and the kind of units we’ll need in each. I have a temporary gaffer in Ben’s absence, Mark. He copes admirably with being thrown in at the deep end. For almost the first time on the shoot so far, the sun tries to get in on the action. Mark and co put up a floppy to kill it, edging it round as the sun moves across the sky. A kitchen scene requires two of the cast to come in through the door. I have Rupert and Max rig the iris motor to the lens, and they give me a remote for it. (This is part of the Preston multi-channel system we’re using, which gives us wireless control of the focus, iris, zoom when applicable, and stop/start.) 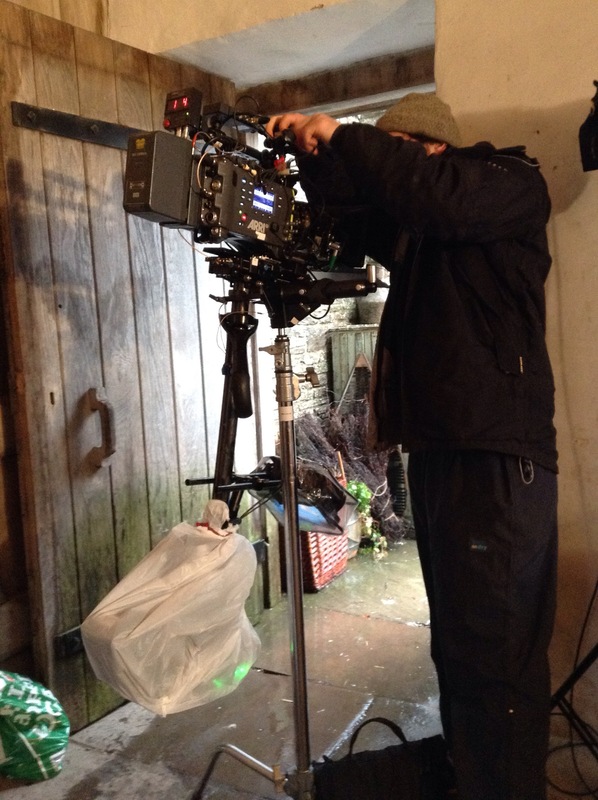 I pull a couple of stops as Rupert pans the steadicam from the ladies entering to the girls already inside. We shoot in the laundry room for the third time. I’ve tried to light it differently each time, even though I know the first thing the colourist will do when they see a new laundry scene is split-screen it with the previous laundry scene and try to make it match. Hopefully I’ll be there to stop them! Anyway, this time I really want to separate the foreground laundry from the kitchen in the background. I have the guys rig a kino to backlight the girls in the laundry room, then I make sure we straw-gel the 4K HMI lighting the foreground, while letting the 6K and the other two 4Ks lighting the background go a little cool. 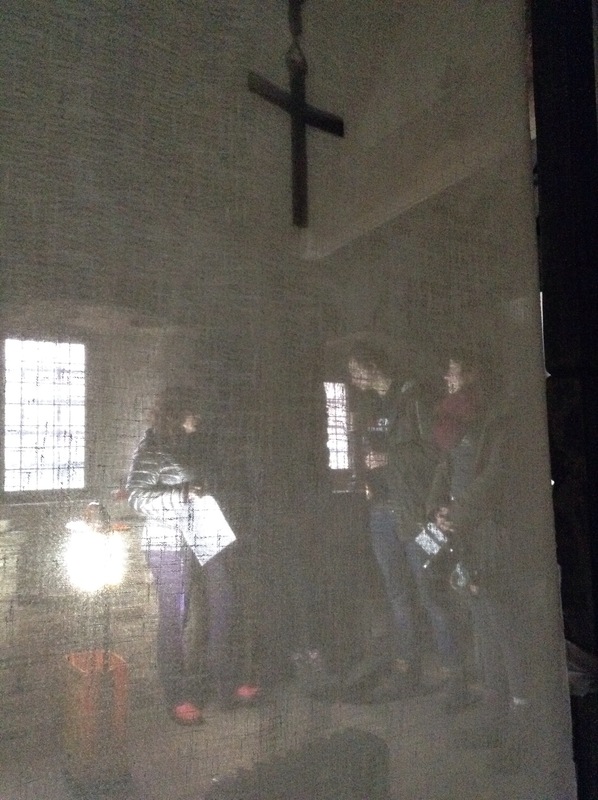 We move to the foyer and get a cool slo-mo shot tracking out of the room with the crucifix window, leading Hannah. The burnt-in window creates a crucifix-shaped lens flare which I love. Today I seem to be getting more chance to soften off the lighting in the close-ups and get the cast looking great. A good recipe seems to be bouncing one of the HMIs coming in through the windows off a poly or Celotex for a Rembrandt 3/4 key, then poly on the other side for fill. Back in the great hall, we’re not allowed to light a fire in the hearth, so Ben fires a couple of 650s into there. They bounce off the stonework inside the fireplace and come out as a lovely soft, orange backlight for the girls sitting in front of it. Mikey crams into the fireplace too and twiddles in-line dimmers to give the light some dynamics. The lighting and camera teams do a particularly great job on this scene, one of my favourites so far, even though it’s the end of the day and they’re all exhausted. We start in the laundry room. Unlike most other scenes so far, it’s only being shot in one direction. This makes it much easier to get the light just how I want it, without worrying about whether lamps will come into shot when the camera moves around. The more the camera moves, the more the lighting is compromised. Paul generally wants lots of camera movement, or to be able to turn around to reverses really quickly. It’s great for the energy of the shoot and the film, but it does mean I have to learn to “let things go”, to accept that the light will look better from some directions than others, that it won’t always be as flattering to the cast with as it could be. Next up is a kitchen scene. The fireplace is largely out of shot, so I decide to beef it up with a 2K tungsten bounce and use it as a source. I pick Chrome Orange gel to put on the 2K. I like it for the first couple of set-ups then start to regret it. Bit too much green, not enough red. The lesson: test any unusual gels on various angles before you shoot. Of course the colour can be tweaked in the grade, so it’s not the end of the world. We have some emotional BCUs to shoot. I know that the actors will be tearing up. I make sure the “firelight” is coming from a low angle, so that the reflection of it is in the bottom part of their eyes. I know from past experience that this will enhance the tears on camera. We move back into the great hall to pick up where we left off last night. A prosthetic make-up is featured, and I need to light specifically for it; the hard light coming through the windows is too unforgiving. Remembering what worked in the camera tests, I have Ben bring in a small HMI and bounce it up into Celotex to come back down as a soft 3/4 toplight. We wrap and I return to the holiday cottage. Last night I went shopping and bought some hot chocolate powder and a bottle of Bailey’s. These I now employ. Yesterday was a day off. I went to London to attend the grading of Ren. Sitting on the sofa in the grading suite I struggled to keep my eyes open. Back on it this morning. The days are now longer, as all of the crew are now accommodated locally so there’s no commuting time. We start in the infirmary, which is bitterly cold. 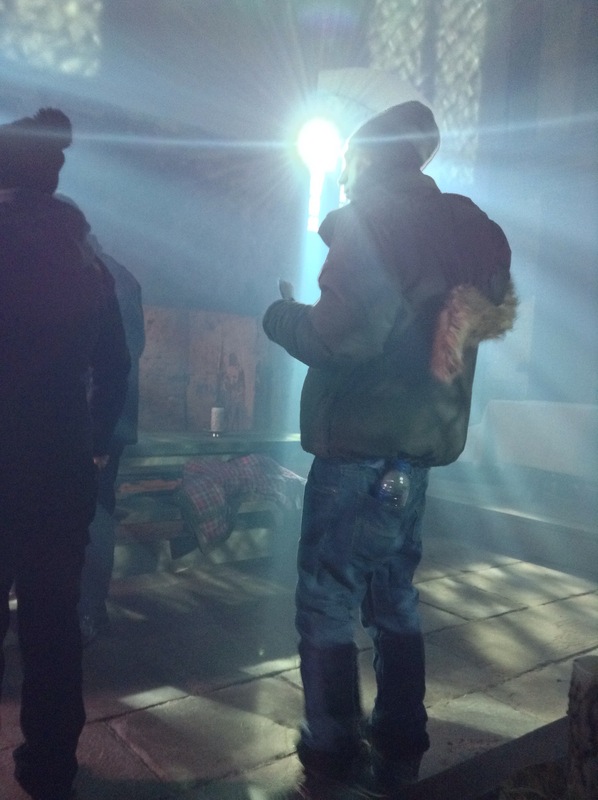 As the body heat of the cast and crew warm up the room, the lenses start to fog up. My ACs borrow some hand-warmers from wardrobe and put them in the lens case. The art department have made a lovely job of this set. The beds are hung with muslin nets which are beautiful to light and shoot through. I come up with a crazy steadicam shot for one of the scenes, gliding between and around the beds, glimpsing the characters as silhouettes through the muslin and finally resting on a deep 3-shot. Most directors wouldn’t go for it, but Paul loves the idea, so we go ahead and Rupert executes it wonderfully. We move into the great hall at just the time of day when my brain is starting to power down. There’s a complex scene to shoot and we don’t get many set-ups in before we have to call it a night. We shoot two takes of a 3-shot and everyone wants to move on and squeeze in one last set-up. But the two takes we’ve just done have ugly shadows. There is an inclination to ignore them given the time pressure, but I know Paul would regret it in post. I push for another take of the 3-shot and adjust the actors’ positions to lose the shadows. Rupert figures out a new ending to the shot which works much better, and that third take turns out to be well worth it. It is a different order of cold today. The surrounding mountains are dusted with snow. I’m right on the edge of not having enough light. Shooting at the Alexa’s native 800 ISO, I have the Cooke S4s at T2.8 – occasionally 2 and 2/3. They’re T2 lenses but any lens’ optical performance nose-dives if you shoot wide open. Most of the light has to be hard, because bouncing it loses too much power. And even with hard light, the false colour display in the EVF shows me I’m about a stop under. Just like Pfister was on The Prestige, and just like I normally shoot, but the problem is there’s nowhere to go. For the day’s second scene Paul requests some 60fps slo-mo. Fortunately the shots involve big doors opening and flooding the scene with natural light, otherwise I would be totally screwed on exposure. In a later scene I’m forced to use matte silver bounce when polyboard would have given a more pleasing, softer look, but without 12Ks and 18Ks to fire into the poly there just isn’t enough juice to start with. 12s and 18s were on the original lighting list, but it had to be whittled down. Apart from anything else, we wouldn’t have had enough guys to wrangle them. Despite these misgivings, things are going well. We are all shooting for the moon, and at least we’re landing on the roof, which is still pretty damn good. My crew are doing amazing work and Paul tells me every day that the shots look beautiful. In the afternoon our move into the kitchen is delayed by a rare bat sleeping in the chimney. We do pick-ups elsewhere and hit the kitchen as the light falls. This is our first scene to feature naked flames: candles and an open fireplace. We put matte silver bounce at the back of the fireplace to throw more of the firelight back out into the room. Foil would have been better, but we don’t have any. Before we shoot, the bat flies through. Monday’s call sheet is handed around, and at the bottom is the fact of the day: one of the bats nesting at our location last week was the inspiration for the Dark Knight trilogy. Apparently. All in one room today. Lots of handheld shots to start with, and we have no moose bars until lunchtime so I’m gripping the rods quite uncomfortably. We really milk those crucifix windows again, letting them flare out the lens sometimes. We have to be careful though because when too much light hits the Soft FX filter it throws a square reflection back onto the actors. Paul designs a really cool Evil Dead style steadicam shot to cover a major scene in one set-up. It banks and swoops while Max and Mikey wave branches in front of the lamps outside the windows. Bad stuff is going down in this scene. The age of the windows helps soften the shafts of light through the crucifixes and it all looks beautifully organic. We use a lot of low angle bounce to catch the shafts near floor level and throw them back up into the actors’ faces. The cast look great with this under-bounce. We use a hard silver or gold reflector for the villainess, and polyboard on our heroine for a softer look. In one shot there is a bright green paddling pool just out of frame. Filmmaking can be so bizarre. 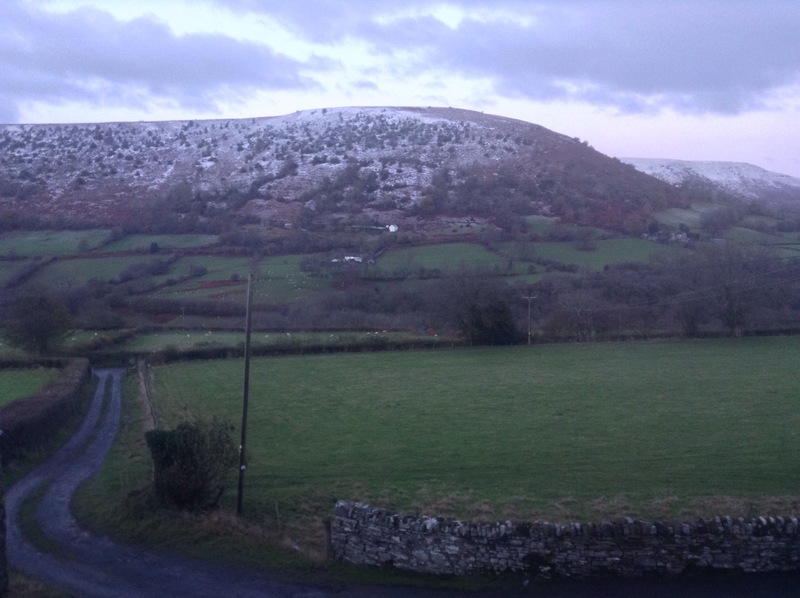 It snows as we return to our holiday cottage for the night along the steep, narrow roads. I doubt it will stick, which is lucky because we’d struggle to get to set tomorrow if it did. Most of my crew and I arrive over an hour before the call time. We want to get ahead, but frustratingly some kit issues hold us up. Given those issues, and that we didn’t get a pre-rig day due to Ben’s availability, the fact that we run only about an hour behind all day is pretty incredible. Ben, best boy Max, and sparks Mikey and Rudy have to run all the distro into and around the priory, and put up all the big HMIs outside the windows. Once we get going we bash out the first scene very quickly: two set-ups, one take of each. We move into another room and more complicated scenes. 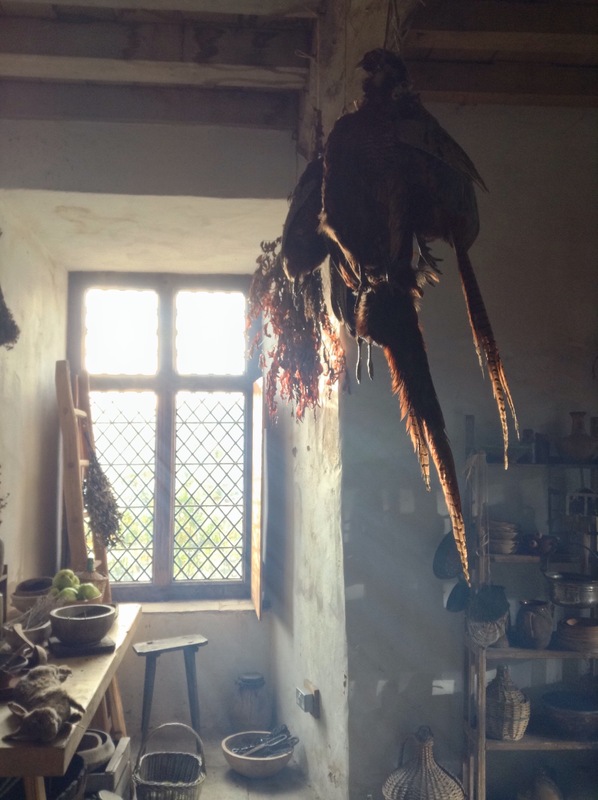 The crucifix-shaped windows installed by the art department look great on camera, especially when we blast shafts of light through them. For one shot we mount one to C-stands and use it as a gobo. Several people have very complimentary things to say about the photography, which is a great relief! Welcome hot food is served from the catering van – Christopher Lee Location Catering. You couldn’t make this stuff up. But when we wrap, the camera and lighting team somehow find ourselves standing in the road, eating leftover sandwiches by torchlight. Last night I watched some of The Prestige and Perfume: The Story of a Murderer before going to bed. Tonight I look at the DVDs on the table and think: no, this film has become its own entity now. The game is afoot. It’s the day before the shoot, and for me it’s very much the calm before the storm. My ACs Rupert and Max are busy in Cardiff prepping the camera gear, but I get a lie-in – my last for a while, I fear – before Paul and I are driven up to the remote location in the Brecon Beacons where we’ll be based for the first week and a half. When I arrive it’s wet and hellishly windy, but thanks to my thermals I’m toasty enough. I spend a few quiet hours walking around the rooms we’ll be using, figuring out where we can put sources, and generally coming up with problems which poor Ben will have to solve! The art department are hard at work around me, and what they’re doing already looks great. There are crucifixes everywhere, and this gives me an idea… which I’ll talk about in a later post, if I end up going with it. I read the American Cinematographer article on The Prestige. Christopher Nolan wanted a similar free-form, flowing camera style to that which Paul wants. Wally Pfister explained how he used minimal lighting, relied heavily on praticals, and pushed the film stock a stop to make this camera style workable. I shall steal his ideas. I pop into the massive costume trailer to meet the wardrobe supervisor, get my first glimpse at the clothes, ask what kind of headgear people will be wearing (which might shade their faces). Ben arrives just in time to see the location in the last of the daylight. He tests the genny and has a quick look over the lighting gear. I try to sort out a last-minute addition of a zoom lens to our camera kit. Then I go to the cottage down the road where I’ll be staying for the next week and a half, along with the DIT, the line producer and the production manager. Other cast and crew are staying at neighbouring and less neighbouring cottages. It’s very nice, though there’s no phone signal or wifi. Which means you might be reading this quite a while after I wrote it, unless the pub we’re about to go to has wifi. Mmmm, pub.